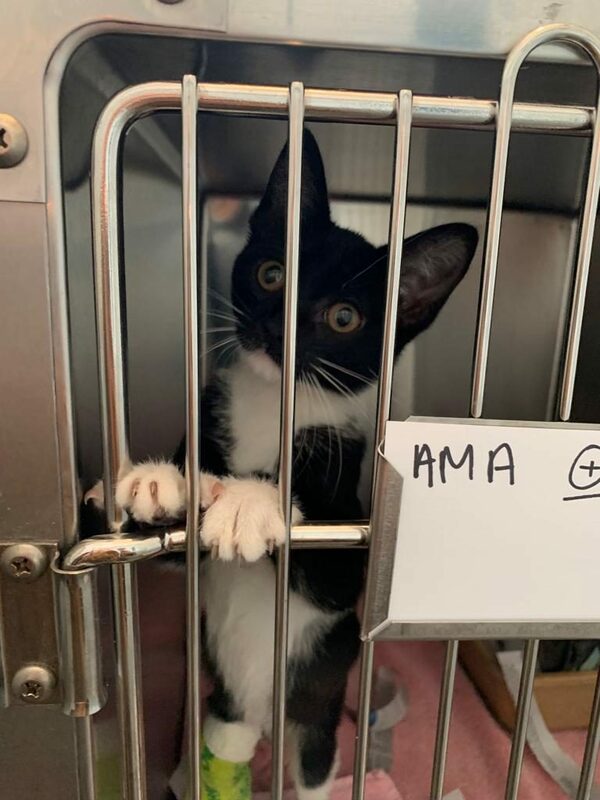 We’ve been contacted regarding a kitten with an injured leg. 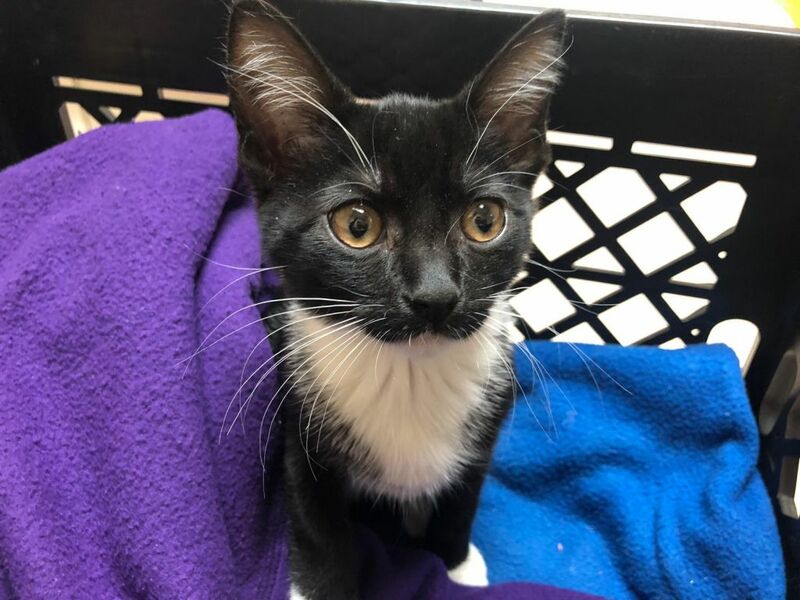 However, when we asked standard questions regarding kitten’s whereabouts and what exactly happened, people got defensive, started changing their story and at some point, became rude. At first, we were told it was a stray cat, then it turned out to be a gift-pet. First, “a random lady had the cat” then turned out the person on the phone had the cat. 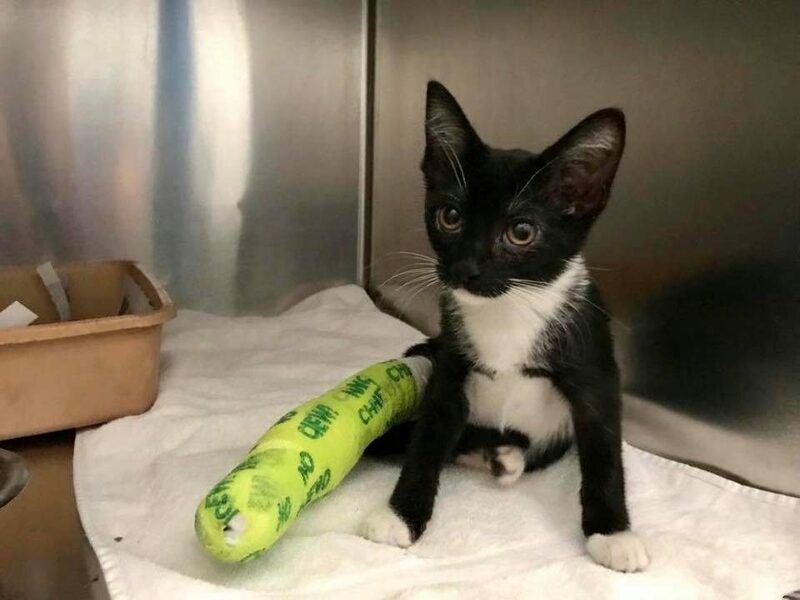 First, the “cat jumped from somewhere and hurt his leg”, then “cat was hiding under the couch and was pulled out by someone and the leg was broken”, and so on. When we realized that no matter the story, the kitten is not in a very safe environment, we decided to take him out of there as soon as possible and figure everything out later. But people on the phone couldn’t give us a clear answer as to how and where we can take the cat from them. And then simply turned off their phone. We were not going to give up on this precious little kitty and determined to save him. After going back and forth, they finally told us the real story. They'd been given the cat as a gift about a month prior, and then at some point, the cat--most likely scared and anxious--hid under the couch. As the people were pulling him out, he got stuck, and somehow in the process, his leg was broken. It took us almost two days to get the kitty, but as soon as people agreed to it, we took him in immediately. Poor baby was covered in fleas, his leg was still covered in dry blood, his paw was swollen, and he was crying out in pain when doctors tried to touch him. 😞 We named the kitty Smokey - and THAT was a beginning of his happily ever after. Sorry, but Smokey is currently pending an adoption by a forever home, so you can't apply for an adoption. Check back soon to see if the pet status changes!